The Rt Hon. Baroness Brenda Hale will speak about her experiences as the first female President of the United Kingdom Supreme Court. The Temple Women's Forum North and the School of Law is delighted to welcome the Rt Hon Baroness Brenda Hale back to the University of Leeds. 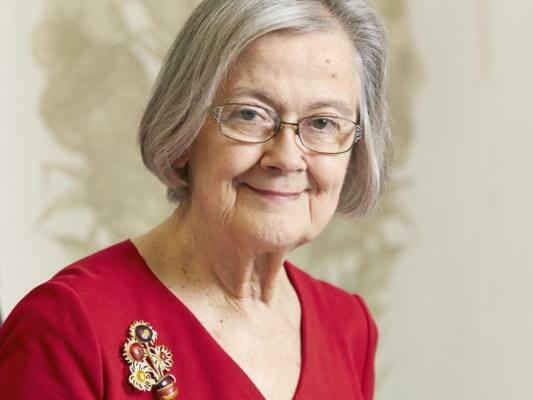 Baroness Hale became the first female President of the United Kingdom Supreme Court (UKSC) in 2017. She will discuss experiences during her first year as President of the UKSC. The evening will include reflections on recent cases and on current issues such as legal education, judicial diversity and the role of the UKSC after Brexit. The event is the annual meeting of the Temple Women’s Forum North (TWFN) and celebrates its 5th year of organising events with Inner Temple and Middle Temple to support the advancement of women in all branches of the legal profession across the UK. It is an opportunity for barristers, solicitors, in-house lawyers, judges, legal academics, researchers and students to meet and to share experiences surrounding career development.